Late in 2013, Sam Moss asked me to come to Uganda to spend about a month working with camp ministry and other outreach opportunities. During the weeks I spent working in Uganda, the Lord began to turn my heart toward this mission field. When I returned home, I told Christine, "The ministry Sam is responsible for is a three-family ministry. There are so many open doors!" My wife and I began praying about being one-third of that team. We purchased tickets for myself, Christine, and my oldest son Noah in July 2014, for Uganda. Just a few weeks later, we discovered my wife was pregnant with our sixth child. Noah, myself, and a team of three others from our home church went to Uganda for my second trip. God moved in both trips, blessing the preaching, drawing sinners to Himself, and beginning the first stages of discipleship in many new converts. It was about a month after returning from this trip that God confirmed His leadership toward Uganda in my heart, Christine's heart, and each of my older children's hearts. My pastor and I had been praying about the possibility of a permanent move to Uganda since the first trip. We intensified our prayer toward the end. Both of us came to the conclusion that God was leading us to Uganda and leading our church into a new phase of foreign mission involvement. Our church plans to take a missions trip each year to Uganda - during the camp ministry in January or in the summer, focusing on a pioneering outreach to villages that have not yet been reached with the Gospel. Our church has also been stirred by the Holy Spirit to begin a "Mission Prayer Band" every other Saturday so that the Prettyman family in Uganda and Cornerstone Baptist Church in Idaho maintain a strong and vital union. Early in March 2015, we gathered together in our family devotions, and I announced our decision to answer the call to Uganda. There is a sober excitement as our children recognize the changes that will take place in our life. After one of them asked, "How long are we going to stay?" I explained to them what it means to surrender for a lifetime of service in the field God has called us to. May 2015, marks the beginning of our pre-field ministry (aka, deputation). We are trusting the Lord to provide all that we need, and then we will join the Moss family full time in the West Nile Region of Uganda. 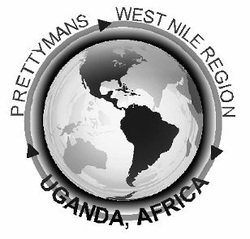 I will have the opportunity to lead a team from our church to Uganda in July of 2016. There are also plans being made of taking another trip during Victory Baptist Bible Camp in January, 2017.